Weddings are hard. There are so many factors to coordinate: food, guests, ceremony, drinks, a venue. Sometimes, we just want to take the easy road. We start looking for signs--in the weather, the traffic, anything--hoping that the answers will just fall into our laps. But in Chicago, there are so many options, so many paths we can take with one of the most important days of our life. Every venue seems like a legitimate possibility, but none seem to fit us just right. But let me tell you, if you have that feeling, you have yet to explore Room 1520. The perfect wedding venue, Room 1520 covers everything. 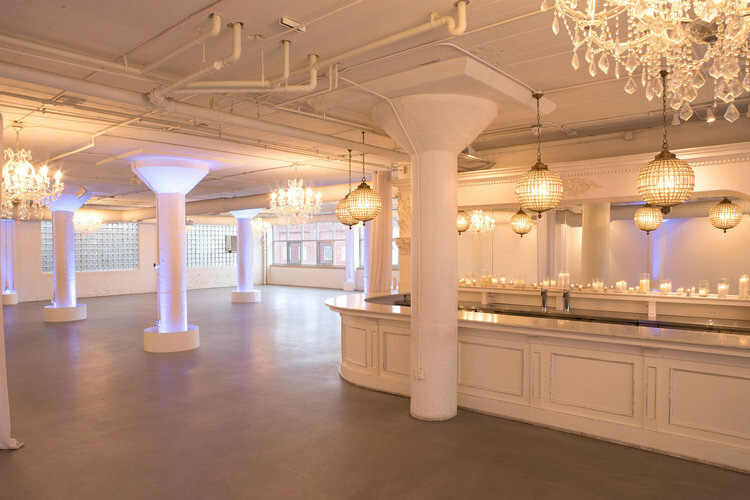 With 4,000 square feet of urban loft space at your disposal, 1520 provides the perfect space to customize for your ceremony, dinner, and cocktail needs. The space itself is whitewashed, with exposed brick, large pillars, and a marble bar, lending itself to be easily customizable or naturally dignified. Although there is plenty of natural lighting from a multitude of large windows, there are beautiful, luminous chandlers and globe lights intentionally placed to provide the perfect event lighting. Aside from its versatility and general good looks, Room 1520 has a few extra amenities that make it the perfect wedding location. First, and perhaps most importantly, a 650 foot private/bridal suite, completely furnished, complete with 2 vanities, an en-suite bathroom, and entrances from both outside and inside the venue. The room also comes equipped with plenty of hanging space, a dining room/conference room, irons/steamers, and other thoughtful extras. 1520 also has a patio and rooftop access, perfect for bridal photography in the street or with a backdrop of the city. 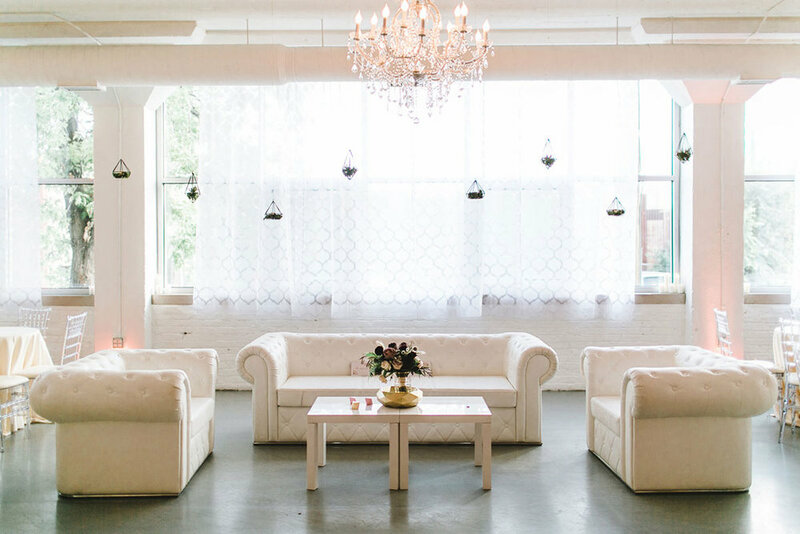 While it may be the perfect wedding venue, 1520 is readily equipped to host a plethora of other events. With its expansive floor plan, it is easy to host a large cocktail or dinner style corporate parties or ceremonies. 1520 also offers a private club style floor plan, named the Justine. Offering an intimate, luxurious venue, the Justine is perfect for a small private party of 30-60 guests and comes with a fully stocked bar manned by two bartenders. Contact Room 1520 to Schedule your next event: call 312.952.1520 or fill out the contact form on their website.